AMD Vega: What’s new, Features, everything explained. 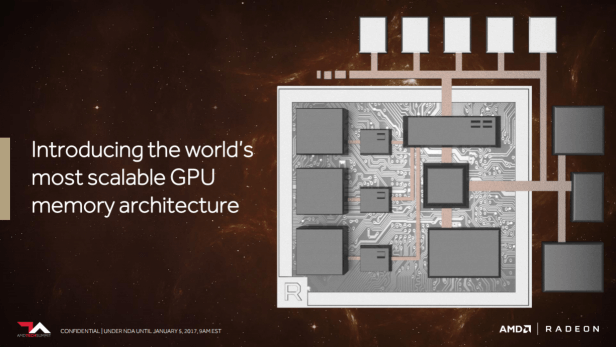 It has been quite a few months since AMD (Advanced Micro Devices Inc.) announced the existence of their new GPU and CPU. The new CPU line-up named Ryzen and it’s tag-along graphics line-up, AMD Vega. 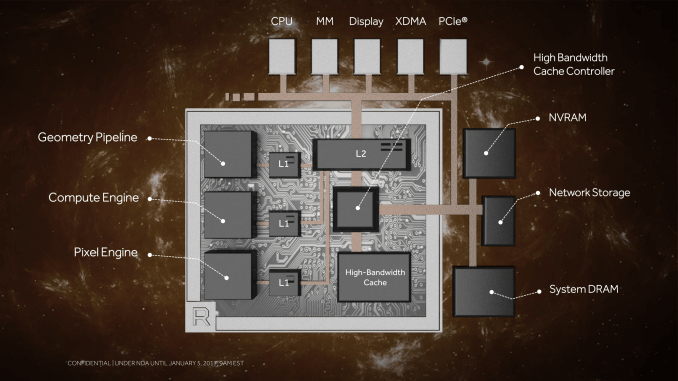 Little by little AMD has been teasing us with benchmarks but put a veil over our eyes when it came to the spec-sheet. As per the comparisons we have seen, it packs quite a punch. And also goes head to head to it’s competitor. Today we are talking about their new Vega GPU. What AMD has revealed about it is how Vega works. Let’s take a brief look at what the AMD Vega has to offer. The GPU won’t render anything that is beyond the visual frame of the user. For example in an FPS game like say DOOM or Battlefield 1, it will not be rendering anything that is before the portion of the gun you are seeing thanks to their new Primitive Shader. What it does is quickly removes the objects and textures that are hidden or unnecessary during gameplay. The GPU has the ability to decide how much power it needs i.e. it can switch between high and low power modes for demanding and less challenging tasks respectively. This makes it more power efficient and also improves task management. The GPU will also evenly distribute tasks through it’s processors resulting in a lot more control over tasks. It can divide its workloads over a larger number with the help of a feature called the Intelligent Workload Distributor. When performing heavy tasks the heat generation is reduced. 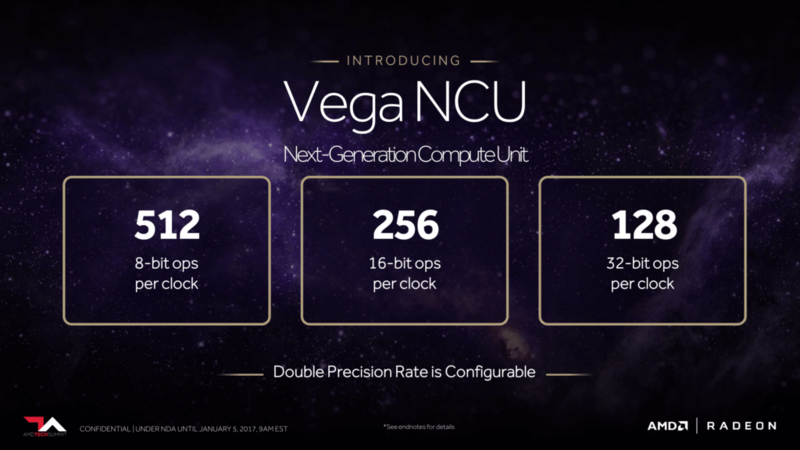 Vega reduces it’s power utilization. When not running anything heavy the GPU will consume less power, but it can switch whenever a demanding task arrives and also switch back when done. Thus decreasing the overall power consumption. This is also a gateway to more efficient laptop chips. Vega has a redesigned geometry engine. With respect to previous GPUs, it can process twice the number of polygons per clock. 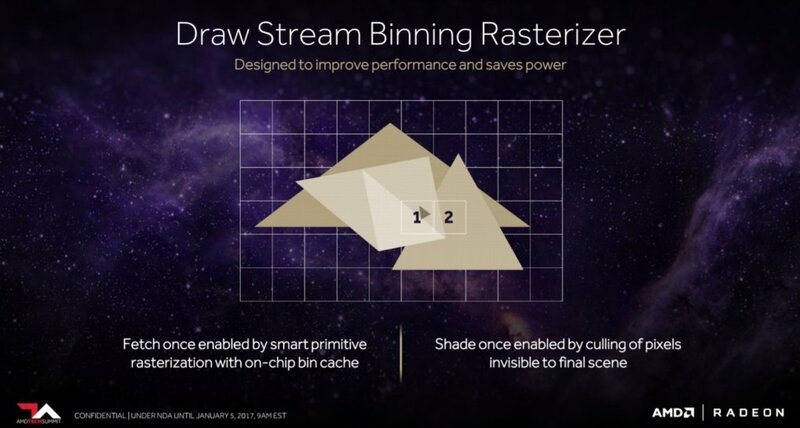 Plus, there’s the Draw Stream Binning Rasterizer, which does the same job as the Primitive Shader mentioned above in other areas of the card. 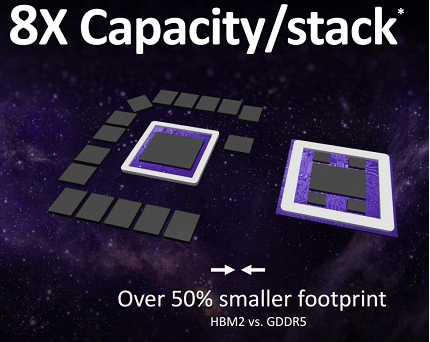 AMD is using the second generation of High Bandwidth Memory or HMB2, which increases the 1GB to 4GB module limitation to 8GB. This results in higher memory in each card. AMD says that in five years, Vega delivers the greatest improvement in graphics performance. We can presume that Vega has the capability to scale it’s performance as per required and also scale the amount of juice it requires. And all of that is just not only because of an increase in power but also how precisely and efficiently the power is being utilized for control and results throughout. How to use Microsoft Office online (All products) for FREE.